On average, nursing homes in the United States have one aide on duty for every 10 residents, estimates Charlene Harrington, a professor emeritus at the University of California. The typical ratio should be closer to one in seven, but many nursing aides report having to care for 15 or more residents at once. Although there are some facilities – generally smaller, assisted-living centers – that have more caretakers, they often have long waiting lists and other limitations that make receiving quality care difficult. Unlike home care agencies, which provide real-time updates to family members using an innovative homecare system or homecare software, nursing homes have no such transparency. This leads to fewer satisfied clients and a bigger strain on nursing home administrators. Nursing aides also complain they are often being asked to work double shifts at short-staffed facilities. The physical demands that go hand in hand with nursing care work lead to high labor turnover. 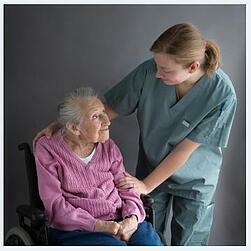 According to various studies, between 43% and 75% of nursing aides turn over each year. Research by Nicholas Castle, a health-policy professor at the University of Pittsburgh, shows nursing homes with higher turnover levels tend to have worse records for quality, as measured by such things as the number of patients with bed sores or urinary-tract infections. Fortunately, there are other options – such as in-home care, which allows seniors to stay in the comfort of their own homes. With the help of a reputable homecare system or homecare software, such as ClearCare, more seniors can enjoy safe and quality home care than ever before. The home care industry has stepped up to fill the need for alternative care. More than 90 percent of seniors prefer to stay at home as they age; and with the help of an innovative homecare system like ClearCare, home care is quickly becoming the safest and most practical care option. While nursing homes struggle to provide quality services, ClearCare’s homecare system and homecare software continue to maintain a solid reputation for excellence. Has your family been affected by nursing home deficiencies? Drop us a note and join the discussion!